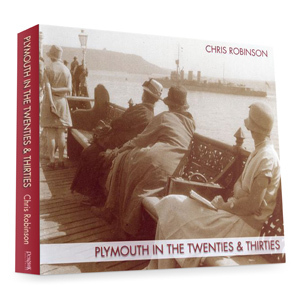 Plymouth in the Twenties and Thirties – for the first time in print, here, at last, is a truly wonderful look at a time when the Three Towns came of age, when Plymouth became a City and it’s Mayor became a Lord Mayor. 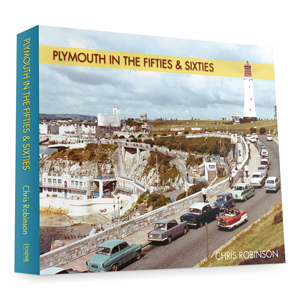 Weaving his narrative around some 500 fascinating period photographs (most of them never seen before in book form) Chris Robinson recaptures the sights and stories of an age that saw the BBC first broadcast to the nation; the talkies supersede silent movies and electricity arrive in almost every home. 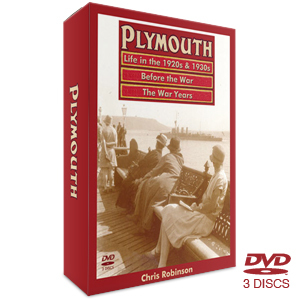 Plymouth in the Twenties and Thirties – for the first time in print, here, at last, is a truly wonderful look at a time when the Three Towns came of age, when Plymouth became a City and it’s Mayor became a Lord Mayor. A time when the local electorate returned the country’s first female MP to take her seat in Parliament – Nancy Astor. 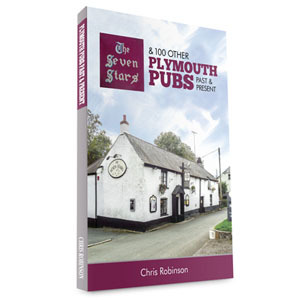 It was a time when Plymouth Argyle became an established football league team and Plymouth Albion became one of the top rugby clubs in the country. 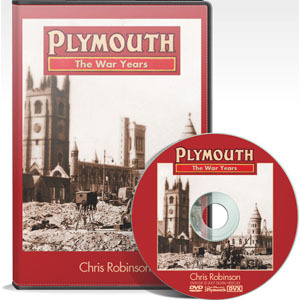 Weaving his narrative around some 500 fascinating period photographs (most of them never seen before in book form) popular Plymouth historian Chris Robinson recaptures the sights and stories of an age that saw the BBC first broadcast to the nation; the talkies supersede silent movies and electricity arrive in almost every home. For those old enough to remember that time, the book is a must-have trip down memory lane: for those who were born too late, here is the city as it was before the war; when trams rattled around the city streets; when the horse and handcart still had a part to play and when the shops and services here were not necessarily the same as they were in every other town and city across the country.